Wondering What Your Prescriptions Will Cost? 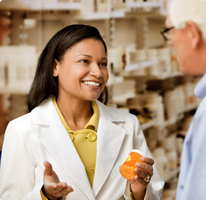 CDPHP is affiliated with Caremark for the management of our members’ pharmacy benefits. Sign in to access the Caremark database for full details on the drug coverage specific to your plan. Visitor’s Formularies represent common plan types but are meant for illustration purposes only. Actual costs will depend on your specific benefit. Be aware that price variations can also occur based on where you fill your prescription. For the most specific results, members should always log into their own accounts to see coverage details. Visitor’s Formularies are set up to represent the benefits for a female member. If researching a drug specifically for males, please contact Caremark for help. CDPHP formularies are subject to change during the year. Check on the most recent Formulary updates that might affect your coverage.